How many of us thought back to Kerblam! and its poor workers when we hungrily looked for bargains on Black Friday? None of us? No, I didn’t think so. Nonetheless, the Doctor Who crew set out to unveil the harsh realities of online shopping by taking us to Kerblam!, the biggest retailer in the galaxy. Or something. They’re big on hyperbole, this series. Remember the Pting being the deadliest threat in the universe…? For a change this series, I’ve no real complaints after watching Kerblam!, and actually there was quite a lot I rather liked. I was unsure for the first few minutes, with the faux peril of an attack on the TARDIS but it’s OK when it isn’t really dangerous. I get vexed when good guys can breach TARDIS security (and was it in the vortex) whereas bad guys can’t. 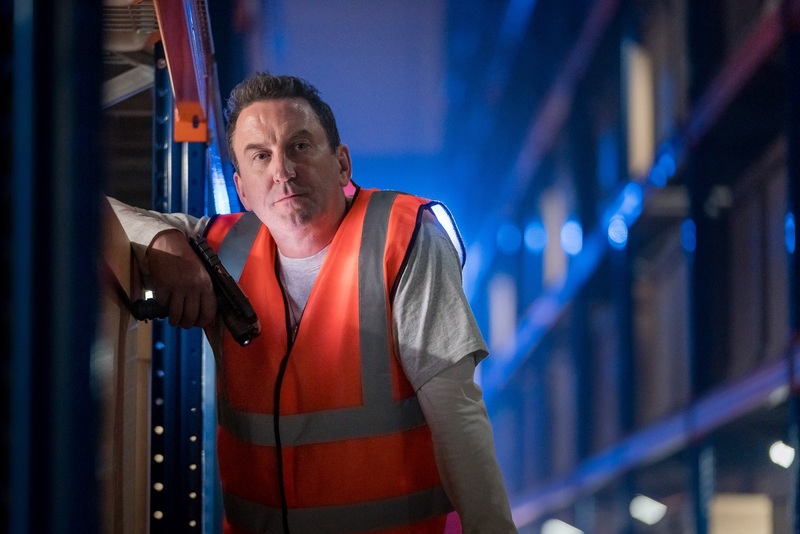 Beyond that, I liked most of it, including the scenery, effects of the warehouse, Lee Mack’s part, the wonderful Kira, the villain, the decoy villains, the sinister robots, and so on. 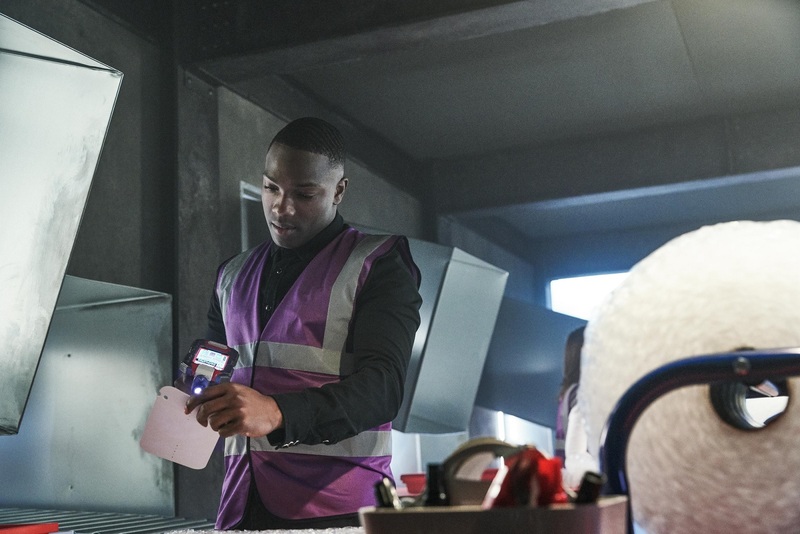 Ryan brought plenty to the party, Graham had a clear part, and only Yaz fumbled – what police officer worth their salt lets a villain escape so easy once subdued? Not only was Claudia Jessie (recently brilliant in Vanity Fair) great as Kira, but Julie Hesmondhalgh delivered a credible Judy Maddox, allowing the Doctor to bounce off her authority and move the story along. Even the unlikable capitalist Jarva Slade had his good features. Most of all, I felt we had a decent look at the Doctor. There was real bite in the scene on employee management when she and Ryan stepped in to defend Kira from Slade, and her later veiled threats to management also had gravitas. 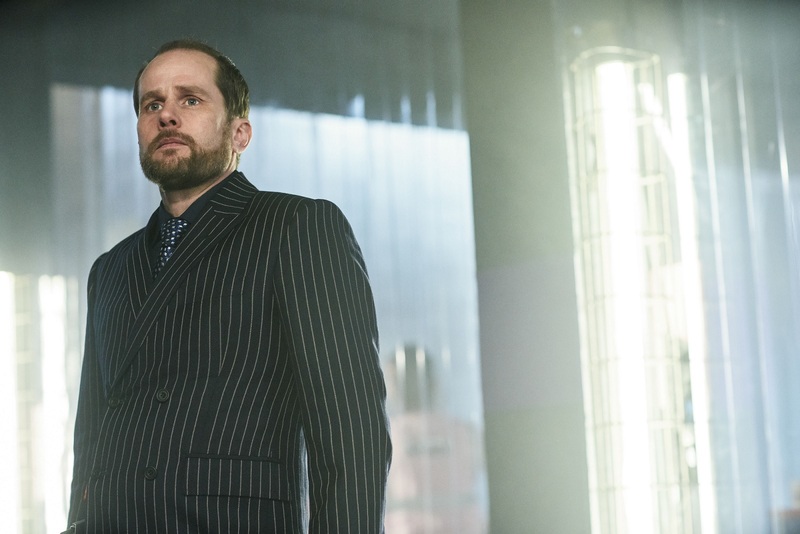 Couple that with the desire to rescue Charlie from death but being fully prepared to allow him to die again felt like elements of the Doctor sadly missing in previous episodes. Yes, there was a bit too much sonic, but add some real deaths and a villain not getting away with their crimes and this might just be the best episode of the series so far. It was back to the future this week the most familiar feeling episode so far; I could imagine this story slotting into any series since 2005, or even into the late 1980s. While much of the rest has felt like a fresh start, a thing apart from previous continuity, Kerblam! seemed to delight in call backs – both conscious and unconscious – to the past. As well as the fez, the Doctor’s two hearts, and the recollection of meeting Agatha Christie, those beautifully designed delivery bots put me in mind of The Greatest Show in the Galaxy while also evoking the eerie vibe of the Voc robot too – we even got a mention of ‘robophobia’! What really made this story stand out, though, was its misdirection. I was actively engaged in guessing and second guessing the whodunit aspect of the plot and utterly failed to put it together until the end. The internal logic of the story was incredibly satisfying and, despite a mighty info-dump from Judy Maddox (Head of People) on her guided tour, it never felt forced, setting up the environment and the increasing tension of the power drain as well as laying the ground work for later – as you knew someone would be going down that chute for a ride on that conveyor. Making the commonplace scary is a classic Doctor Who trope, and as a parent I can confirm that the popping of bubblewrap has never lost its appeal. That final scene did trouble me as I cannot help but read something more into Graham’s actions. Was he considering suicide? Is that cancer really gone? While I still wonder at the need for three friends, they were well deployed this week and split in different variations. For her part, I enjoyed the Doctor’s standing up for the doomed Kira and her confrontation with Slade and Maddox. Even Lee Mack’s cameo was untroubling, though his dialogue marked him for death every time he spoke! Might Kerblam! be the best we have seen this series, save for the historicals? It’s certainly a contender which looked and sounded great (a thumpy score which cleverly worked in the Kerblam jingle at times) and delivered on a story with an entertaining poke at our reliance on technology. 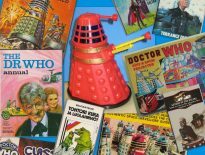 Oh, and bonus points for the first episode with an exclamation mark in the title (I’ve always thought Dalek missed a trick there!). If it had been called Ker Plunk!, it might have at least been amusing. This was for me yet another low budget, almost non-story with a human again as the ‘baddie’. The beginning was incredibly slow, and totally unbelievable as a story. 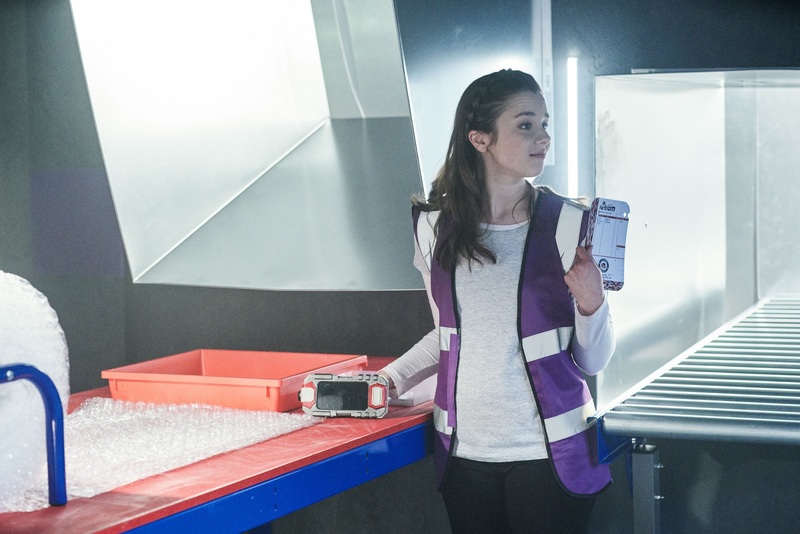 Intergalactic teleport that can enter the TARDIS; 10,000 ‘organic’ workers but we see just the three plus two management and a set of extras in a field for ‘break-time’; the ‘mass dispatch’ area with unrealistic CGI; and the place was just too clean to be a real warehouse. There were good points – The ‘Kerblam! Men’ (which reminded me of the Smilers in The Beast Below) were sinister looking. There was some tension building in the lead up to Kira’s death. But in all, I found the whole thing very dull right up until the finale, which I found needlessly murderous. It was an execution and totally not what Doctor Who is about. Kerblam! is, sadly again, not an inspiring or frightening story… Doctor Who episodes should be one or the other. As Madame de Pompadour said “The monsters and the Doctor – you cannot have one without the other”. The entire Series 11 has had no credible monsters and thus fails, in my opinion, to be anything close to real Doctor Who. 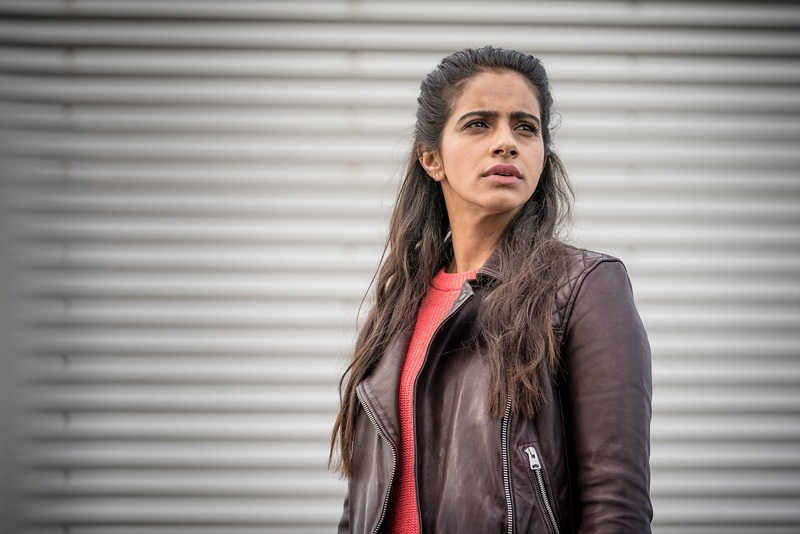 Final Verdict: Sorry guys, getting quite bored now of the same routine – unimpressive sets; few, quite hollow characters; no monsters; and fairly mundane story lines (Rosa and Punjab excepted). Yeah, okay… This one was pretty good. Not great and it probably only stands out after a string of episodes which have ranged in quality from the abysmal to the adequate. Fairly slow, as is standard for this series, but it at least had some good ideas and it held together. The dialogue continues to clunk in places (I wonder if this is Chibnall’s script editing) and it continues to lack either decent aliens or a strong central performance. It occurred to me that a right-wing interpretation was also possible, especially as it was broadcast during the crisis in the UK over Brexit. (Like me, I’m sure you can’t get enough Brexit news coverage and eagerly look forward to the next bulletin!) An argument often advanced in favour of Brexit is that excessive EU immigration threatens British jobs, especially the lower paid ones which, of course, the average Brit can’t wait to undertake. So, instead of the robotisation – let’s call it that, as it’s Doctor Who – standing for robotisation, it instead stands for excessive immigration; the threat to jobs in the parallel is thus from immigrants = robots rather than robots = robots. Not an interpretation I favour, but it shows how a text can be read in a way unintended by the writer. Some silliness. The conveyer belt sequence was straight out of Toy Story 2 and the robot postmen were mildly irritating. The story also took a long time to get going. Still, not a bad episode. I don’t mean to surprise everyone, but Kerblam! was alright. It was an enjoyable episode, with a lot of strong dialogue, good characters, and a solid mystery. Oh, there’s plenty wrong, of course: the politics are warped, Jodie’s still just sort of there, Tosin is shockingly wooden, and Leo Flanagan was also pretty useless. But why get bogged down with those things when we had the Kerblam Man, Lee Mack, and Claudia Jessie to enjoy? Mack’s my favourite comedian, so it was wonderful to see him getting a substantial and rather touching role. The Kerblam Man (or Men) were beautifully realised. And Claudia Jessie was really quite heart-breaking. I think that’s why Kerblam! worked: not only was it fashioned like a classic Who adventure, but we had that lovely juxtaposition between the corporate side of things (including the robots emulating cringy business-speak) and the humans, working in vain in horrible circumstances. This is the first episode of Series 11 I might rewatch one day – not because of the TARDIS Team, however, but because the script and guest cast were strong. Well done to Pete McTighe and Jennifer Perrott on an enjoyable story. I can’t recall a series of Doctor Who that has seemed quite so polarising as this one. Each week it feels like there’s a 50:50 split between those who love the new TARDIS team (I’m not quite ready yet to say ‘Team TARDIS’) and those who really aren’t enjoying the programme at all. Maybe it’s the times we’re living in. Somewhat unusually for me, I’ve generally found myself in the former camp this series, with my comments on the current batch of episodes often being more favourable than those of my DWC colleagues. But Kerblam! didn’t do much for me, and even the exclamation mark couldn’t stop me looking at the clock as the adventure trod what felt like a very well-worn path. 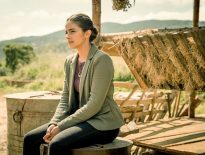 A common criticism this year has been that the programme doesn’t feel like Doctor Who, but I think my problem with this episode was that it resembled a lot of previous stories. It all felt a bit traditional, with a setting that didn’t seem very imaginative in its design, and robots that could have stepped out of any number of earlier episodes. 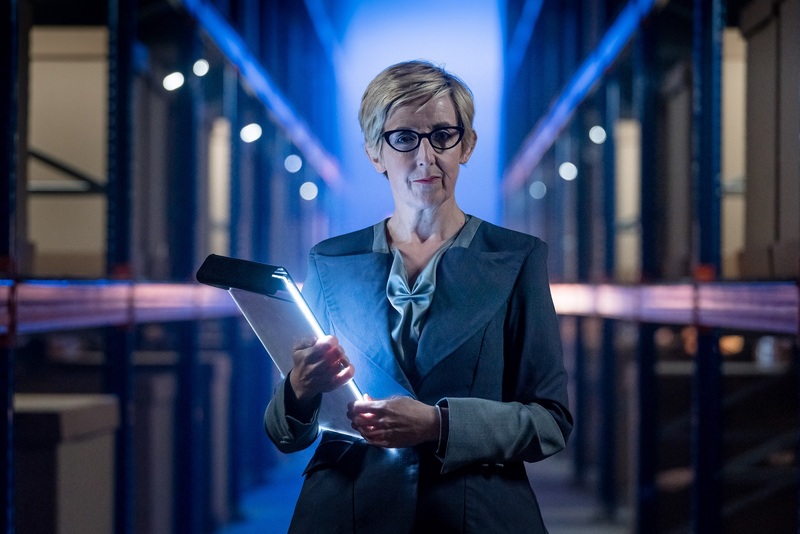 Julie Hesmondhalgh is a wonderful actor, but my heart sank when she turned up in this one wearing a sharp suit, clipboard in hand. Surely she was worth a more interesting guest role than this? At least the resolution was a tidy bit of misdirection, and presumably those who have complained of the series becoming too preachy (if Doctor Who fans named a word of the year in the manner of the Oxford English Dictionary then ‘preachy’ would surely be it) will have appreciated that it wasn’t a simplistic condemnation of big corporations. Although I’d have to say that the moral of the story, such as it was (keep your head down and put up with your life of drudgery, no matter how bad things are, basically) felt confused to say the least. Crikey. It’s happened. 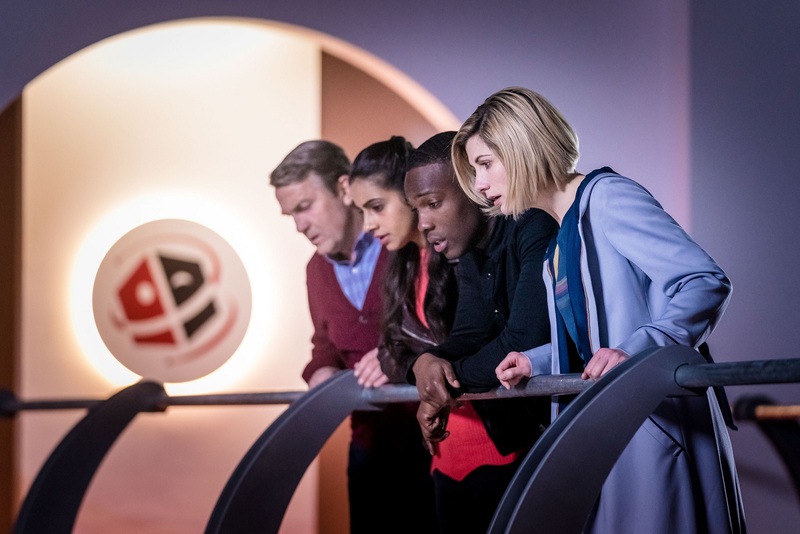 Numerous people have enjoyed an episode of Series 11. Yes, there are some complaints, but overall, Kerblam! might be the first hit of Jodie Whittaker’s debut season. Next time: Which witch in Ipswich Lancashire?